As far as I can tell, biking in Salt Lake City is a necessity. No matter where you go in this city, you are bound to see bikers of all walks of life; cruising, commuting, recreating and traveling. 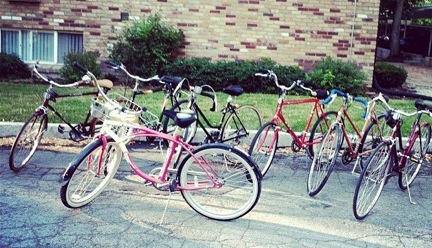 SLC locals and visitors alike bike to school, to work and to play. When I first moved to SLC, I was basically told bikes (and only bikes) are the way to travel around the city. My first ride in the city was on an oversized, older model mountain bike through the busy Sugarhouse streets. My second ride was on July 4th through the insanity that is Sugarhouse Park during the Holiday, pre-firework show, resulting in a small bloody altercation with a brick landscaping wall and a few vehicles.... I just about gave up after those two experiences, but (luckily) didn&apos;t really have that option. Biking has become my favorite way to get out and about in the city - you don&apos;t have to worry about parking at the beginning of your evening, or finding a cab at the end and you can see the entirety of Salt Lake City from the Avenues to Sugarhouse from two wheels. Bikes make all of SLC incredibly accessible, and the city has embraced its biking community. It boasts bike lanes throughout the city, offers a resource library from the Transportation Division and provides bike racks on most public transportation. You don’t even need a bike to save on gas or make a positive impact on air quality in Utah; in April of this year Greenbike hit the streets of SLC, making it incredibly easy for a last minute bike ride, a local looking for a new way to check out our city, or someone in town for a visit not interested in the hassle and longevity required with a standard bike rental. 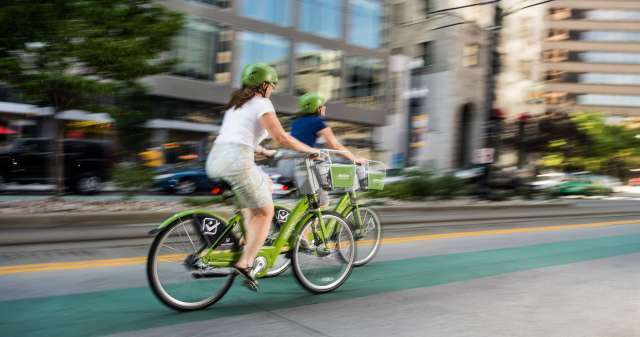 The Greenbike bike share program can be found in other cities like Denver, Boulder, Nashville, Omaha, San Antonia and Houston to name a small handful of the approximately 20 bike share locations. Besides urban biking and commuting to your favorite locations around Salt Lake City, you can find insane mountain biking and great road bike routes within a 20 minute radius from the city with great “door-to-trail” options from your home or hotel. Stay tuned into the Visit Salt Lake blog for Part 2 about mountain biking in the Salt Lake Valley.